Following a somewhat stagnant 2017, the first month of the new year presented signs of optimism for the overall craft beer market. IRI Worldwide reports that U.S. beer sales in off-premise retail (like grocery, liquor, mass-merchandise stores, etc.) increased 3% in January 2018. This increase was bolstered by strong segment growth from craft beer (4.4%), imports (7.3%) and domestic supreme premiums (12.3%) like Michelob Ultra and Blue Moon. Because this is largely a craft beer site, we thought we’d take a look at the notable craft highlights from the IRI report and give our thoughts on the notable data points. Who knows, this might become a recurring monthly column. Here’s the lowdown. Founders Brewing has been around for more than 20 years, but they didn’t find their staple beer until 2012. Since its introduction, Founders’ easy-to-drink All Day IPA has been a smash hit. 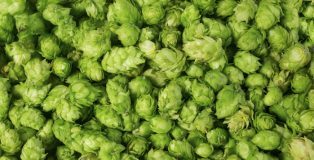 The beer hit a nerve for many people across the U.S. due to its outright drinkability and convenient packaging formats, making it a beer that could be consumed on land, on water, and anywhere in between—and sales have reflected that. Five years since it was released nationwide, All Day IPA just had its most successful year ever, growing an incredible 50.3% in 2017. 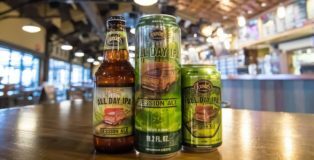 All Day is now the 3rd best-selling IPA in the nation, an incredible feat for any beer over such a small period of time. The crazy sales numbers of its stalwart beer have lifted Founders to new heights, with volume sales up 51%, but if you ask co-founder Mike Stevens about All Day, he’ll say that the session ale has only begun to reach its potential.